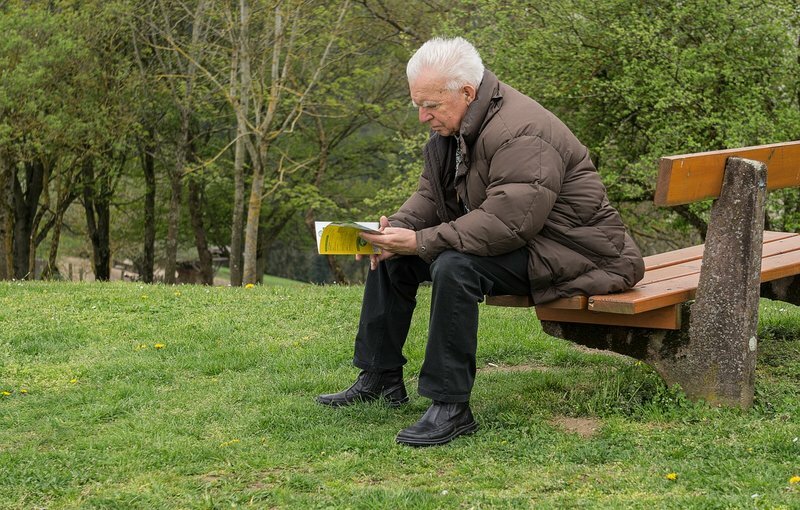 Retirement is something which is a looming eventuality for every middle-aged individual. While in the young adult stage of our lives, wearebusy planning for our children’s stable future and acquiring assets, the middle ages is the stage when retirement planning takes the center stage. While accumulating wealth and creating assets is also an important part of our financial planning process in our middle ages, we cannot ignore the corpus required after we retire. Since expenses have increased exponentially over the last few decades, having a substantial corpus size after retirement is a must. Gone are those days when a corpus of Rs.5 to Rs.10 lakhs seemed sufficient enough to live the rest of our lives. Today, such a corpus is a laughable matter. In today’s age, if you are planning for retirement, you cannot overlook the expected increase in the expenses 20 years down the line. Since inflation would be a constant factor in the coming years, your retirement corpus should be inflation-proof. By ‘inflation-proof’ what I tend to imply is that the corpus should be sizeable enough to meet the inflated expenses you are going to face post retirement. Having established the importance of a sound corpus for retirement, the next obvious question is how to build such a corpus. What are the investments which should be made in order to fund our retirement corpus? With multiple investment options available in the market today, which instrument would fulfil our retirement planning process? Financial experts advise individuals to have such a financial portfolio wherein every financial goal is earmarked by a respective investment. Retirement being one such goal also requires an earmarked investment in our financial portfolio. With different investment options available like shares, fixed deposits, mutual funds, NSCs, KVPs, real estate, gold, etc., choosing the best option for retirement planning is an art. But what if I tell you that there is a financial product solely designed for retirement planning? Pension plans are life insurance plans wherein the insurance company provides a stream of annuity payouts to the policyholder. Such annuity payouts are provided out of the funds contributed by the policyholder either in lump sum or in instalments depending on the type of the pension plan chosen. Annuity payouts are paid throughout the lifetime of the policyholder and if he dies, the annuity payouts stop. In many pension plans, the annuity payouts continue to be paid even after the policyholder’s death. These payouts are made to the policyholder’s spouse and are called joint life annuities. – these are the simples and the purest form of annuity plans. Under the plan, the policyholder deposits a lump sum amount with the insurance company which is called the Purchase Price and buys the plan. The annuity payouts start immediately after the plan commences and the first payout is made from the next frequency (monthly, quarterly, half-yearly or annually) as chosen by the policyholder. For example – Mr. Arun buys an Immediate Annuity Plan by paying Rs.1 lakh as the purchase price on 1st January 2016. He chooses to receive annuity payouts every month. Thus, the company would start making such annuity payouts from 1st February 2016 and would continue paying annuity on the 1st of every following month till such time the policyholder is alive. – the simplest form of the plan where annuity payouts are paid during the lifetime of the annuitant (person buying the plan). If the annuitant dies, no death benefit is payable and the annuity payouts stop. – in this variant, annuity payouts are paid for the lifetime of the annuitant. When the annuitant dies, the annuity stops and the Purchase Price is returned to the nominee. – this variant promises annuity payments for a specified guaranteed period. This period usually ranges from 5 years to 20 years in multiples of 5. If the annuitant dies during the guaranteed period, the annuity payments would continue for the guaranteed period and then stop. If the annuitant survives the guaranteed period, annuity would continue for the entire lifetime. – in this variant, the annuity payable increases every year by a specified percentage and is payable for life. – this annuity covers the life of the annuitant and his spouse. The annuity payouts continue till the survival of the annuitant and after that continues for the spouse’s lifetime as well. These annuities are also called last survivor annuities as the annuities continue till the lifetime of the last surviving member. These annuities can be issued in any of the above mentioned variants. – deferred annuity plans can be offered as traditional plans or Unit Linked Insurance Plans (ULIPs). While traditional plans promise a guaranteed return, ULIPs invest the premiums in the market enabling the investment to earn market-linked returns. – premiums under the plan are payable for the chosen term of the plan or for a limited period depending on the plan features. – these plans have both maturity and death benefit. While the death benefit can be completely withdrawn by the nominee, the treatment of maturity benefit is different. The policyholder has three choices for the maturity benefit. 1/3rd of the benefit can be availed as lump sum while the remaining should be compulsorily used to avail annuity. The policyholder can, alternatively, use the entire proceeds to receive annuity. Lastly, the proceeds can also be invested in a Single Premium Deferred Annuity Plan wherein the annuity payments are postponed and start after a specified tenure. – unlike other plans of insurance, premiums for pension plans are tax fee under Section 80CCC. Annuity payouts are taxable in the annuitant’s hands while the withdrawn part of the benefit (1/3rd part) is tax-free under Section 10(10A). How to opt for the perfect pension plan? Immediate Annuity Plans are best suited to individuals who have retired or are about to retire. Since payouts would be required immediately, they should opt for these plans. Deferred Annuity Plans are meant for individualswho are planning to build a retirement corpus and need payouts after 15-20 years. They can buy Deferred Annuity Plans, choose the term to coincide with their retirement age, and invest premiums regularly to build up a corpus. On plan maturity, the accumulated funds can be used to receive annuity. Thus, both the plans have their individual applications and fit perfectly in any retirement planning stage an individual is in. Are pension plans a suitable choice? - Since the benefits under the plans are compulsorily used for annuity payments they earmark your retirement income, something which is not achieved by any other investment instrument. So, your investment in life insurance pension plans would only provide you with annuity benefits, whenever to choose to receive them, and they guarantee you a retirement income. -If returns are important, deferred pension plans also come in the ULIP version where the investments are invested in the capital market and earn inflation-adjusted returns. Moreover, most of these ULIPs have an investment protection feature which also protects the returns generated. So, if you thought that pension plans had a conservative return generating ability, think again. ULIPs are redefining the benefits under a pension plan and promise great returns too. - When we talk about the tax benefits, premiums paid are tax-free and so is the commuted (withdrawn) part of the corpus as discussed earlier. So, you now have a reason to cheer in this respect too. If you agree that retirement planning is essential, you cannot dispute the corresponding importance of a life insurance pension plan in this context. Pension plans help you in building a retirement corpus and with the different variety available, they are sure to find a match in your financial portfolio along with other retirement planning products.